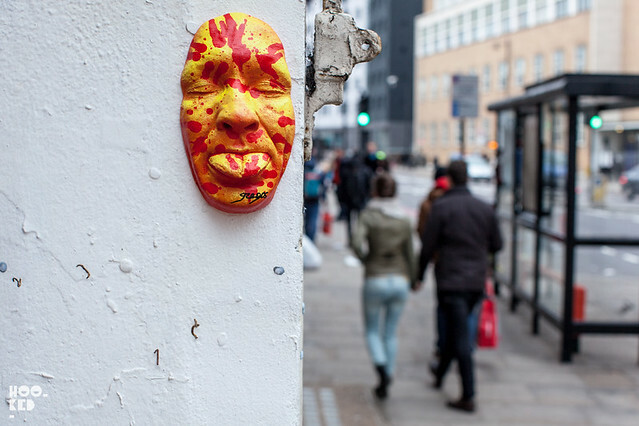 The launch of new publication Vitry ville street art at East London's Stolen Space Gallery saw an invasion of artists on the city of London. The group of artists many of them French all featured in the new book which documents their work created in and around Vitry, a southeastern suburb of Paris. 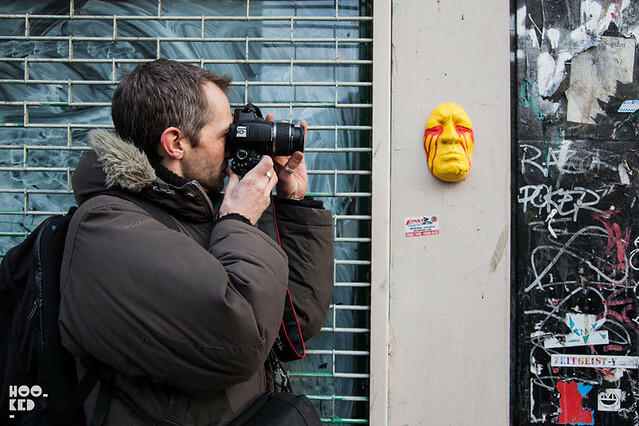 On of the artists in attendance for the launch party was Parisian artist Gregos, whose 3D self portraits can be seen all across Paris and beyond. 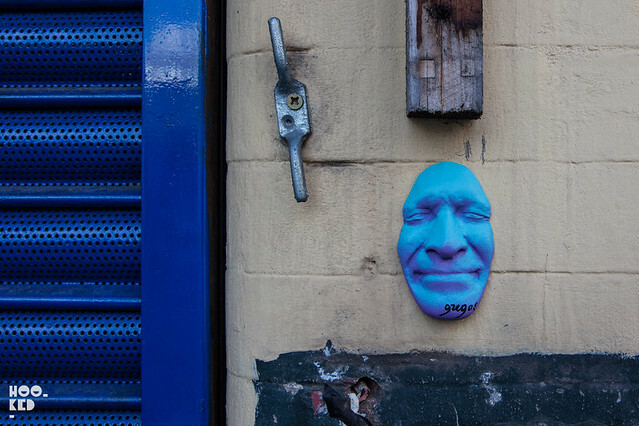 We spoke to the artist about his work and learned that to date six different expressions of his face have been cast for him to use on the streets. 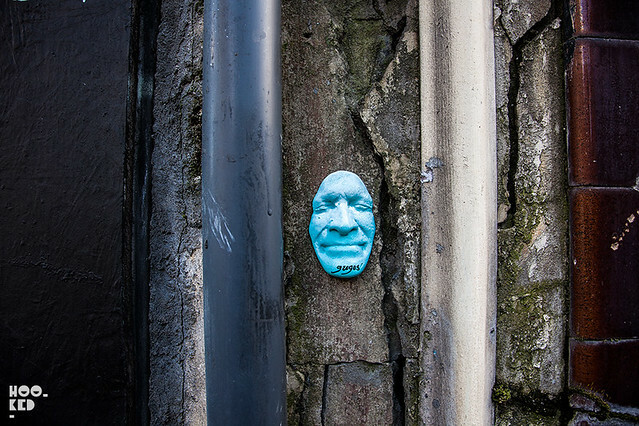 We asked him about the process of reducing the 3D cast of his face for the miniature pieces which also appear outdoors. The smaller peces are the result of a long process which involves scanning the full size cast with a 3D scanner...this then allows for a 3D wire frame to be created. Once the artist has this he is able to adjust the size of the wire frame on a computer to the size he wants, which he then prints with the help of a 3D printer. With the miniature piece printed, this can then be used to make a mould for casting multiple plaster street pieces before they are then painted and ready to be installed in the streets. 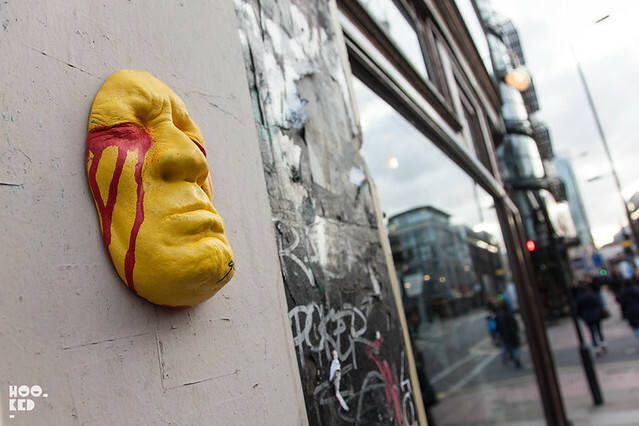 With nearly 500 faces already installed around Paris, Gregos made the most of his time during his short visit to London and somehow managed to install 50 3D pieces over two days. Below are a selection of the pieces we have discovered so far, still quite a few to find. If you've seen any around your neighbourhood let us know. Interesting that the launch is in London and not Paris. 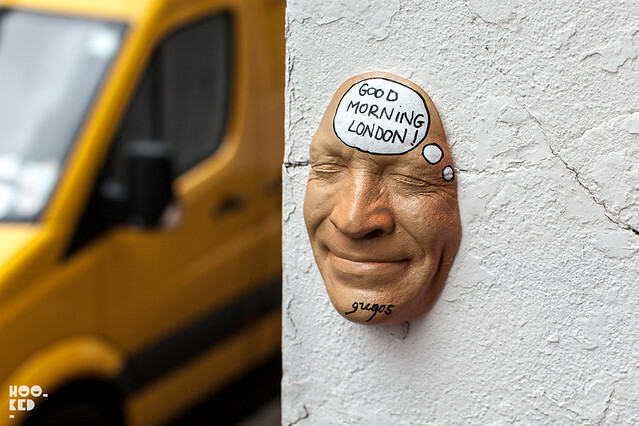 Where is the "Good Morning London" one located? I'd like a photo if it has not been stolen already. There's a mini one on Redchurch Street on a dark green window (kind of hidden). And there's one mini brown one near the Pure Evil gallery. Oh, and I saw some of them have been stolen immediately from what I saw on the artist's official website.